I’m back from VMworld 2017 US and then VMworld Europe and a nice vacation. Time to get back to work and of course some (well a lot hopefully) blogging. Had a great time catching up with friends at VMworld and talking about the new stuff that both Pure Storage and VMware have coming. 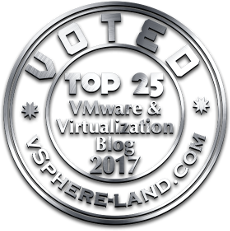 I had quite a few sessions this year–VMware was kind enough to post online–many of them publically (no login required).